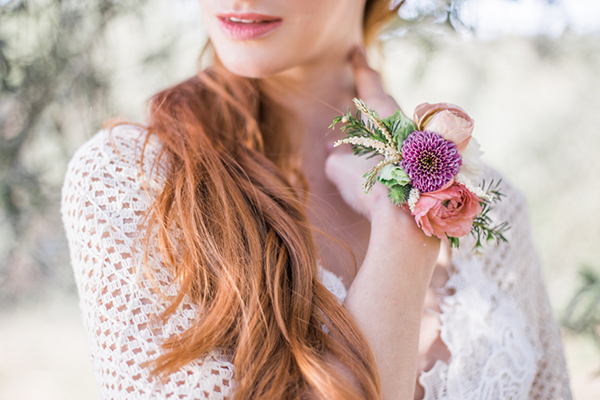 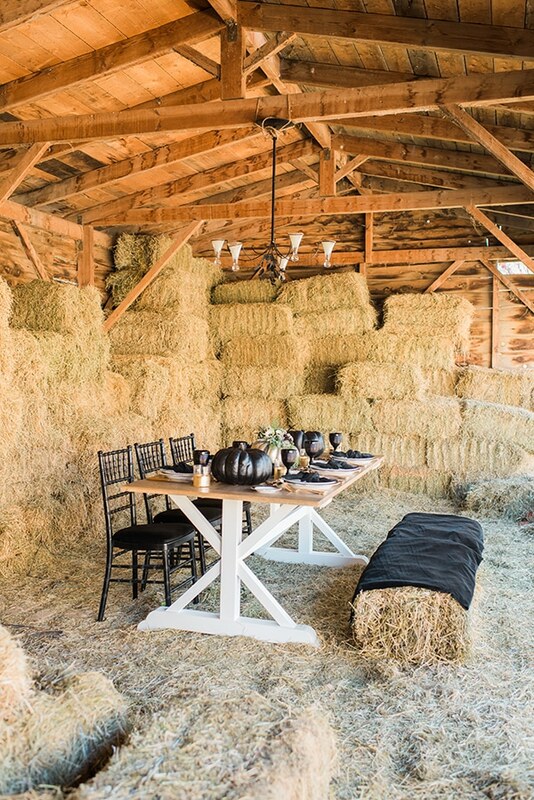 Today’s styled shoot will mesmerize you with its unique country chic style! 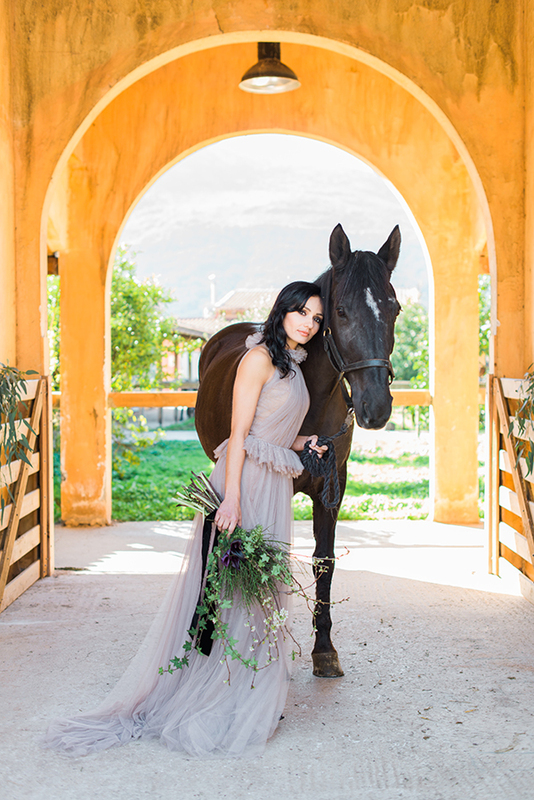 The barn of the Marathon equestrian center was the ideal background for natural, rural shots. 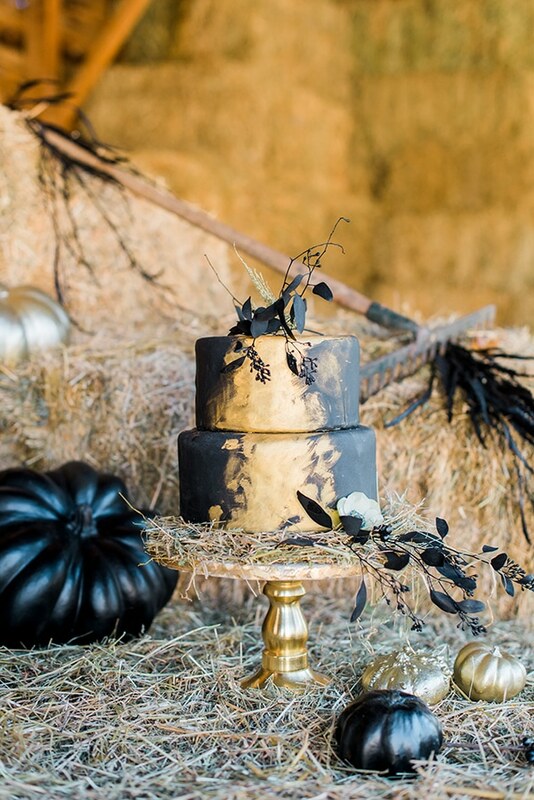 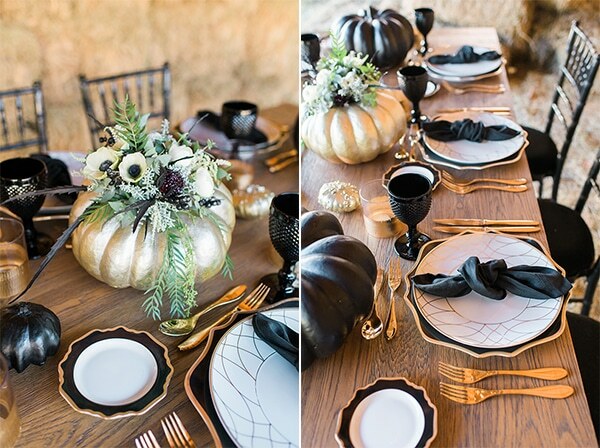 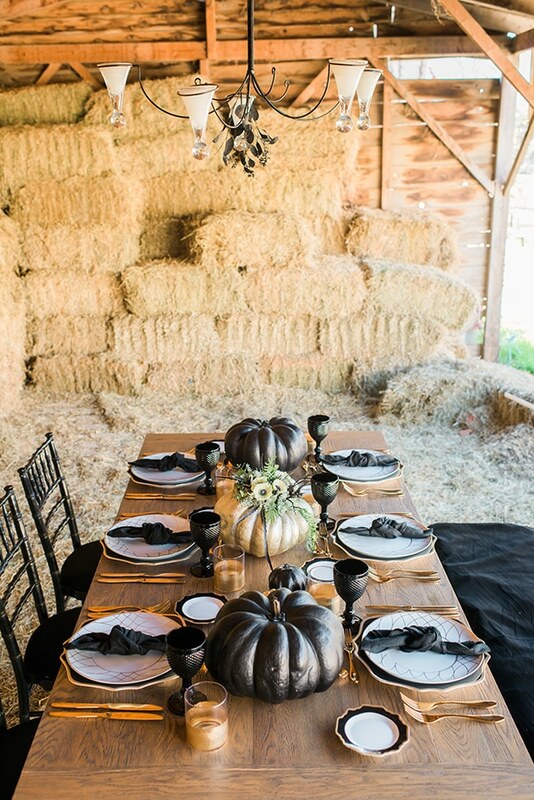 An impressive table was set in the middle of the barn and was decorated with black and gold details that created a dark yet elegant sense. 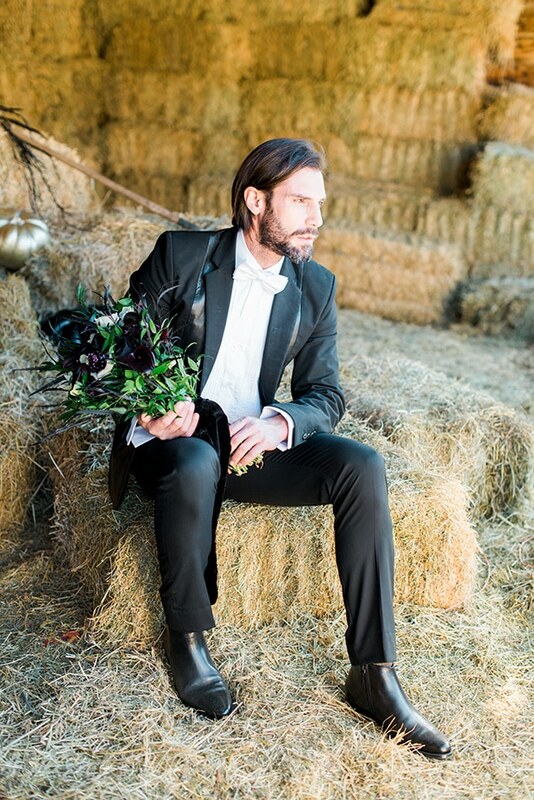 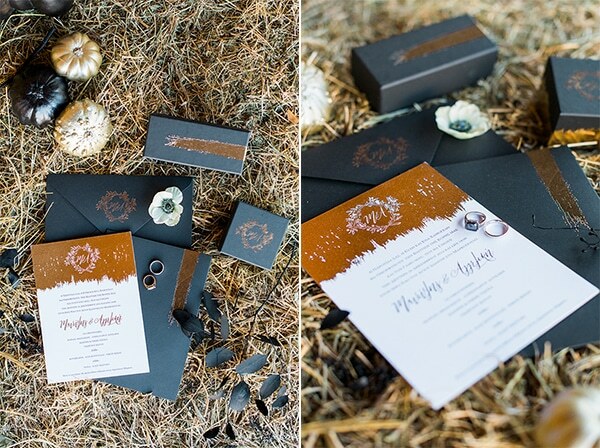 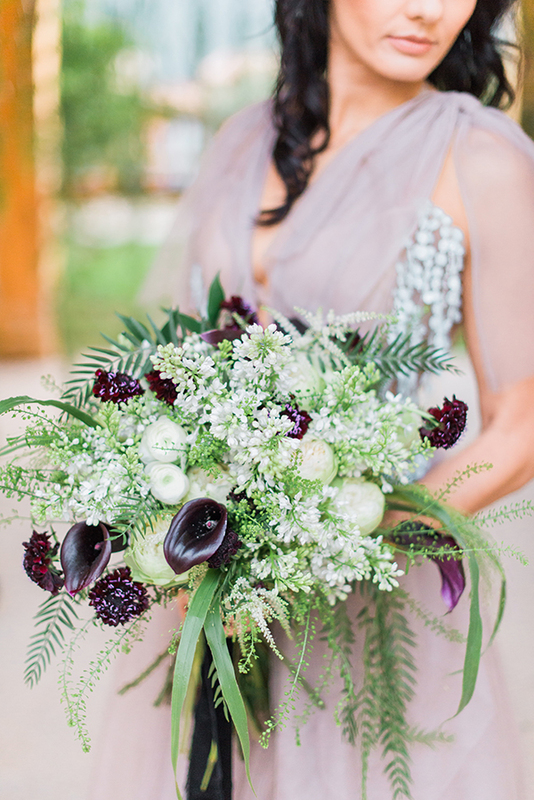 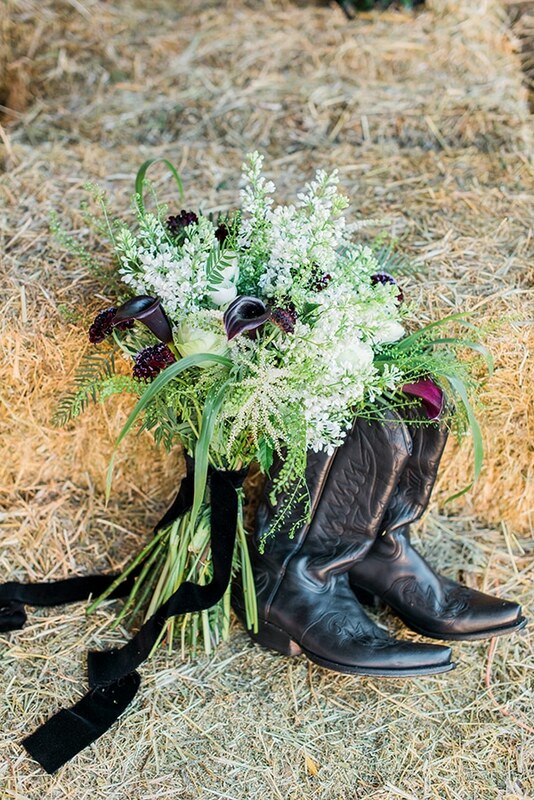 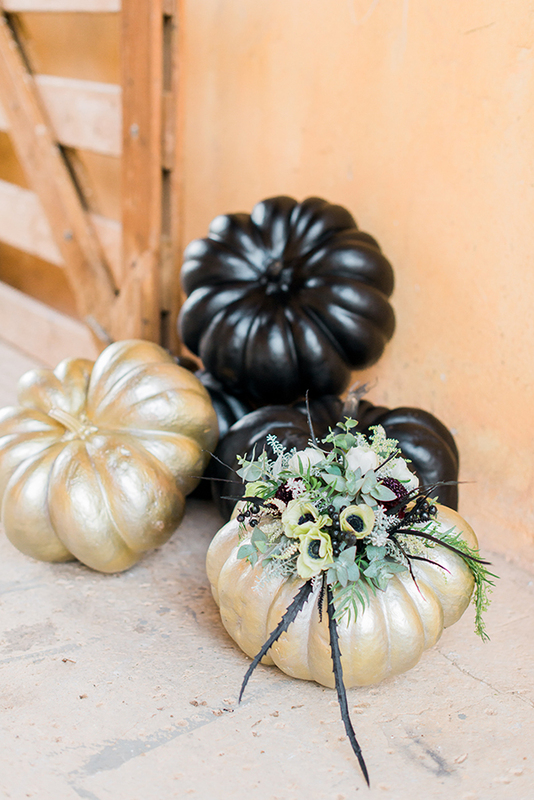 Pumpkins, boots, saddles, cowboy hats and flower bouquets in white and black hues adorned the place beautifully. 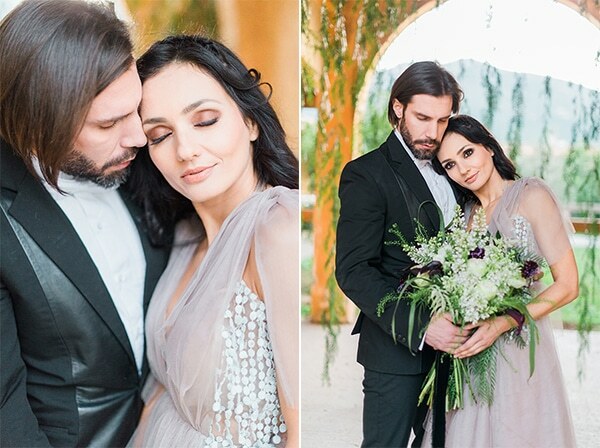 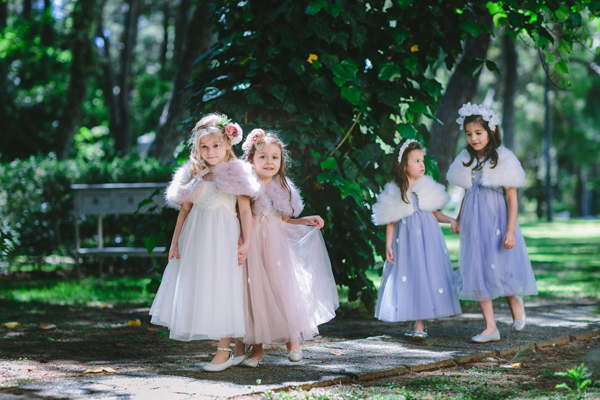 We loved the chic style of the two protagonists who were wearing special creations by Dimitris Petrou! 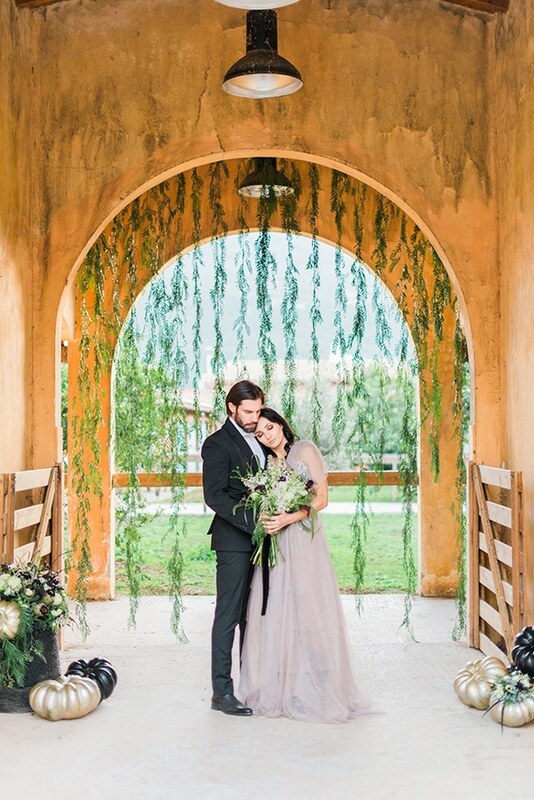 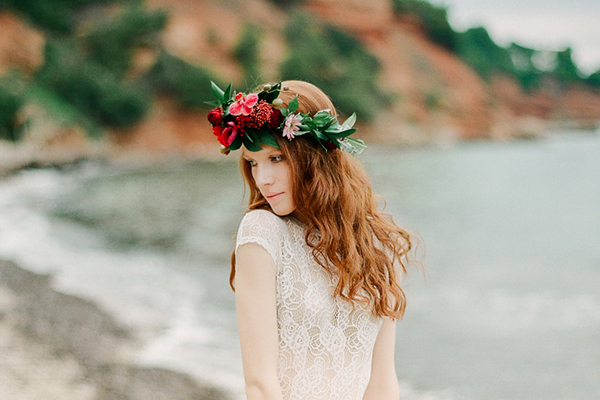 See the following photos captured by Stella G Photography and feel completely transported to the beautiful, unique place!